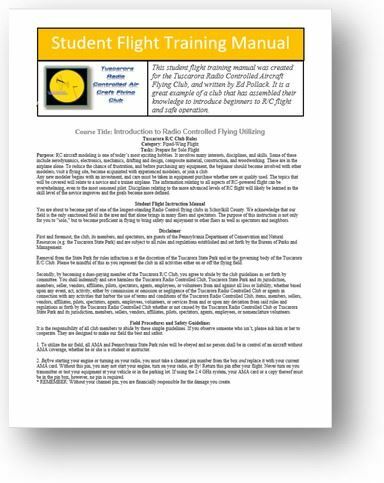 This student flight training manual was created for the Tuscarora Radio Controlled Aircraft Flying Club, and written by Ed Pollack. It is a great example of a club that has assembled their knowledge to introduce beginners to R/C flight and safe operation! It’s a passion; it’s a sport; it’s a unique view of the world. And it’s never been a more exciting time to fly. Take an inside look into the world’s largest model aviation association and learn more about how you can start flying today. It is critical that we voice our support for the hobby by submitting a comment to the Federal Register regarding this ANPRM. Click here to submit a comment or visit www.regulations.gov and search for Docket No. FAA – 2018 – 1086; Notice No. 18-08. Below you’ll find a suggested template for comments, which you can customize with your personal story and then copy and paste into the comment field on the Federal Register website. The current deadline for submitting comments is 11:59 pm on April 15, 2019. Rulemaking is a lengthy process but rest assured that AMA will continue to advocate for our members and keep you informed as it progresses. You can read FAQs regarding this ANPRM or reach out with any further questions or concerns at amagov@modelaircraft.org. As always, thank you for your continued support! I am writing in response to the FAA’s advanced notice of proposed rulemaking on the safe and secure operations of small unmanned aircraft systems (UAS), including model aircraft. My position is simple: model aviation has introduced no new risk into the airspace, and therefore should not be subject to new regulations. Hobbyists who fly model aircraft do not need to be included in new rules for drone operators because we already follow our own proven set of safety guidelines, often at remote fixed flying site locations. All AMA members fly according to the organization’s safety code, which has been recognized by Congress as an effective means for managing the modeling community. Our existing safety guidelines work – and there’s no reason to add new rules. Advanced drones, however, have created the possibility for new risk, and that’s why AMA has supported giving the FAA the authority it needs over sophisticated drones with advanced capabilities, such as those designed for sustained and controlled navigation beyond visual line of sight. The FAA could use the presence of a navigational system that utilizes multiple waypoints as a means of differentiation between model aircraft and sophisticated drones. 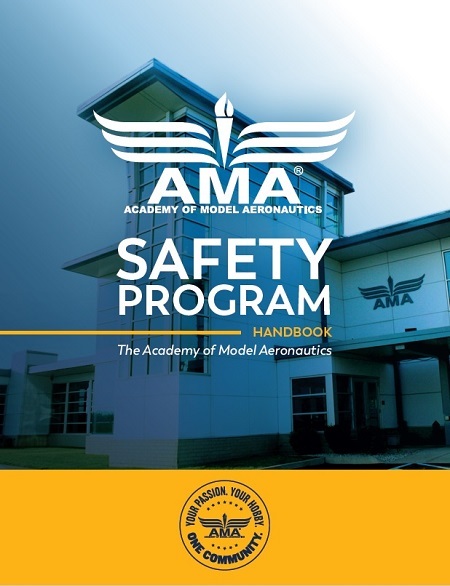 This AMA safety handbook is a compilation of AMA's most important safety documents and programs for safe model aircraft operations. It provides an easy location to find pertinent safety information, and can be avaluable tool for club officers, contest directors, event managers, and others.